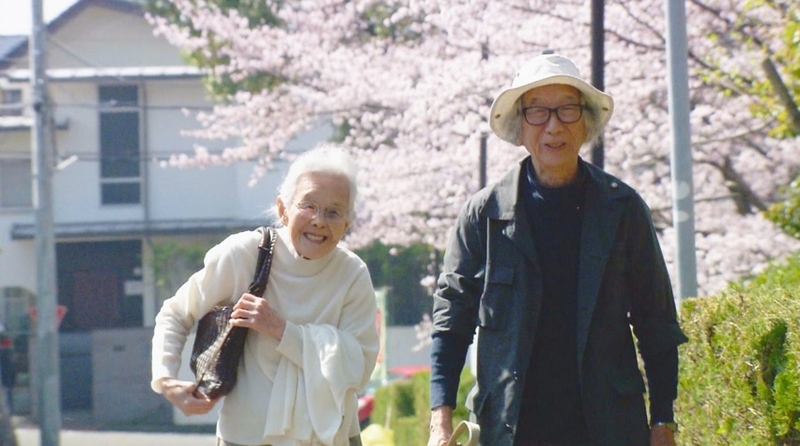 The documentary tells the story of architect Shuichi Tsubata and his wife Hideko. The Japan Foundation Los Angeles, 5700 Wilshire Blvd., Suite 100, in Los Angeles, will present a special Japanema screening of “Life Is Fruity” (2017, 91 minutes) on Friday, April 13, at 7 p.m.
A 90-year-old architect, Shuichi Tsubata, lives with his wife Hideko in a one-storied house in the woods in Aichi Prefecture. He built this house after the house of his master, Antonin Raymond. They grow many kinds of vegetables and fruit in their garden and harvest the crops to make their living. Their lives embody the ideal of people in this modern age. As a skilled architect, Shuichi was in charge of a planning of a new town 50 years ago. He wanted to build houses that can coexist with woods, but his idea was rejected by the time of economy-first policy. As a result, houses far from nature were built. Shuichi left his work, purchased land in the new town, and built a house for him and his wife. They grew crops and woods there to make their living slowly and steadily. One day, a client visits Shuichi to ask for his architectural design. The order is a challenge for Shuichi to realize his ideal building that can coexist with nature. The screening will be followed by an in-person discussion with Fushihara, Kiki, and producer Katsuhiko Abuno. Fresh Sunkist oranges and marmalade will be prepared by food expert Naoko Takei Moore. Co-presented by the Japan America Society of Southern California and supported by Sunkist Growers. Free; reservation not required. Street parking is available. For more information, call (323) 761-7510 or visit www.jflalc.org.